Achieving peak performance as an Equestrian Jumper is an amazing experience. The Equestrian Jumper Peak Performance self-hypnosis session is designed to help you prepare your mind to gain greater focus and concentration while remaining relaxed when you are in the show ring. 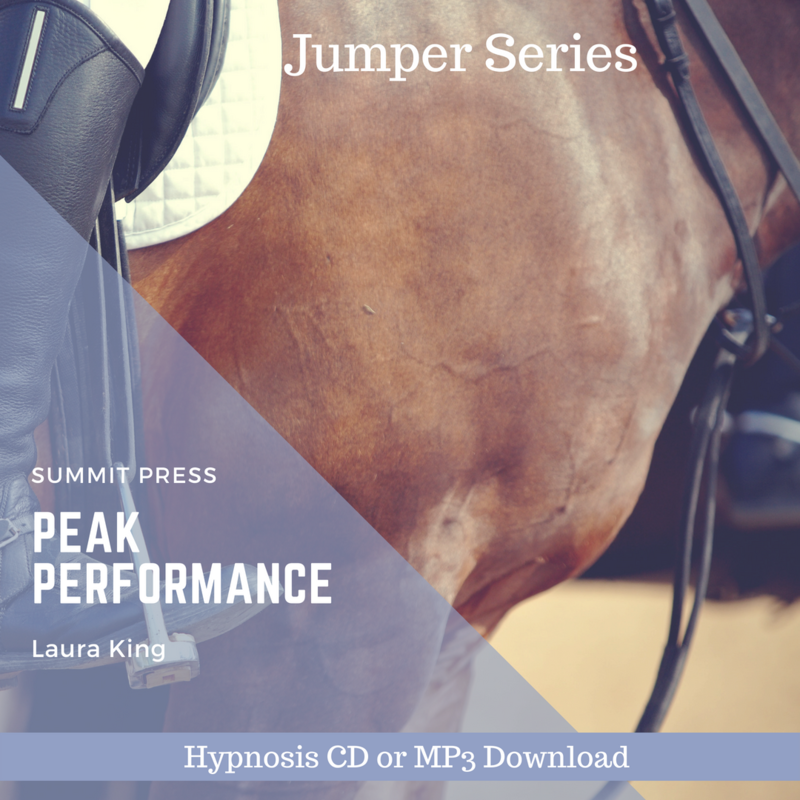 Give yourself permission to win with Laura’s Equestrian Jumper Peak Performance self-hypnosis. You are what you think. Through the repetition of positive hypnotic suggestions in Equestrian Jumper Peak Performance, Laura communicates with your subconscious mind to help you calm your anxieties and to perform at your very best. You will have more confidence in your abilities and become more comfortable with higher jumps. You will become more relaxed because you will know that your horse has the talent and capability to jump successfully. Learn how to prepare your mind through relaxation, imagery, and positive thinking. You will gain focus, confidence, and build your self-image which will ultimately improve your overall riding ability. Start listening today with our easy to download MP3 of Equestrian Jumper Peak Performance self-hypnosis.